Mister Rogers arrives with two paper fans he has borrowed from a friend's collection. Taking viewers to the kitchen, Mister Rogers makes a paper fan of his own. After a brief talk about wind, Mister Rogers visits his friends at the "Neighborhood Weather Station." At the weather station, Mister Rogers sees a demonstration of a weather radar and even gets to help launch a weather balloon. In the Neighborhood of Make-Believe, Handyman Negri has decided to play the part of a wind storm in the upcoming opera. When she sees Handyman Negri practicing the part, Lady Elaine decides she would rather be a wind storm than a hummingbird; Reardon, however, convinces her otherwise. Everyone comes together for the final preparations for Bubbleland as they sing a few selections from the opera. Back at the house, Mister Rogers shares a film about a real live hummingbird. As he and Wayne Rumburg launch the weather balloon, the child in Fred Rogers comes out as he can't resist waving at the balloon high in the sky. 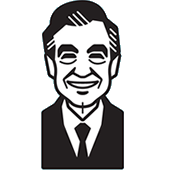 As he leaves for the day, Mister Rogers invites viewers to watch the upcoming opera with others in their families. While often called "Bubbleland," Mister Rogers refers to the oprea by its full title as "Windstorm in Bubbleland." Don't Mention a Windstorm plays in the background as Mister Rogers heads to the Weather Station. There's Never Any Trouble Here in Bubbleland (v2) plays in background as Mister Rogers returns from the Weather Station. The Bubbleland map shown in this episode is not the one actually used in the opera, though it does have striking resemblance. The one used in the opera is much larger and circular. Various songs from the opera play in the background as Mister Rogers discusses it towards the end of the episode.